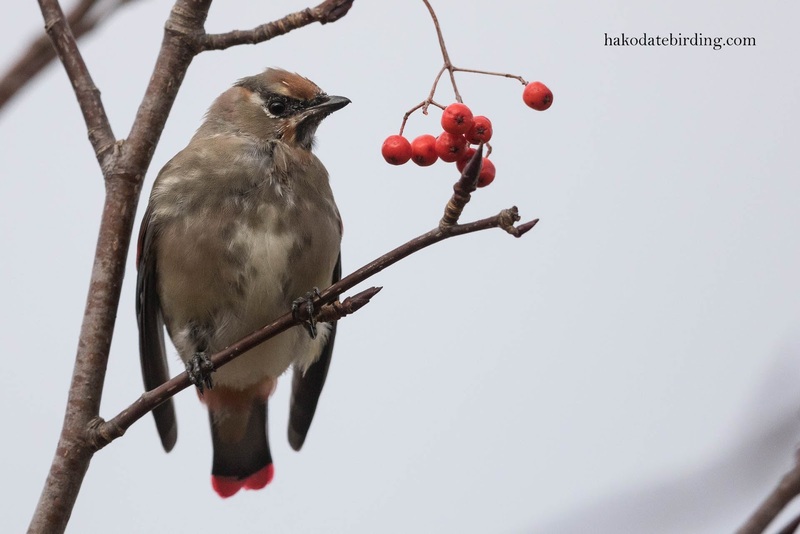 It was cold for a start, it was snowing a bit and there were a lot of new winter arrivals. 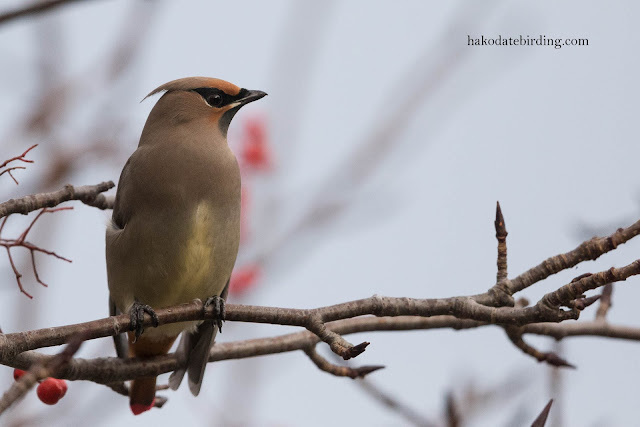 North of town we found a flock of 25 or so Japanese Waxwing. This is the earliest I've ever seen them. Some of them looked a bit scruffy, I guess I never see them when they are moulting. It was very very dark too, not a good day for photos to be honest. 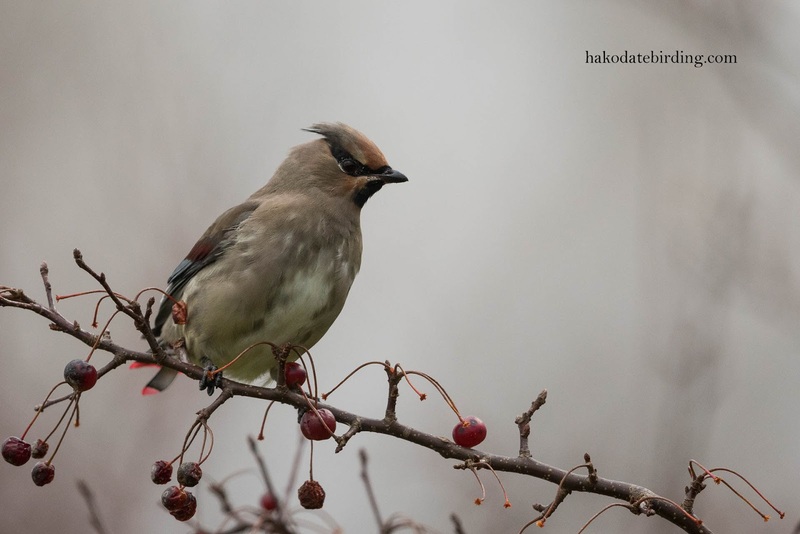 In the same place there was a big flock of Dusky Thrush (and 1 Eye-browed Thrush), Brambling and Hawfinch. At Yakumo the eagles have arrived. I saw about 8 or so individuals of both species including 3 adult Stellers Sea Eagle. A lot of snow on the mountaintops inland from Yakumo and the temperature just above freezing. After 2 very mild ones are we going to get a cold winter? 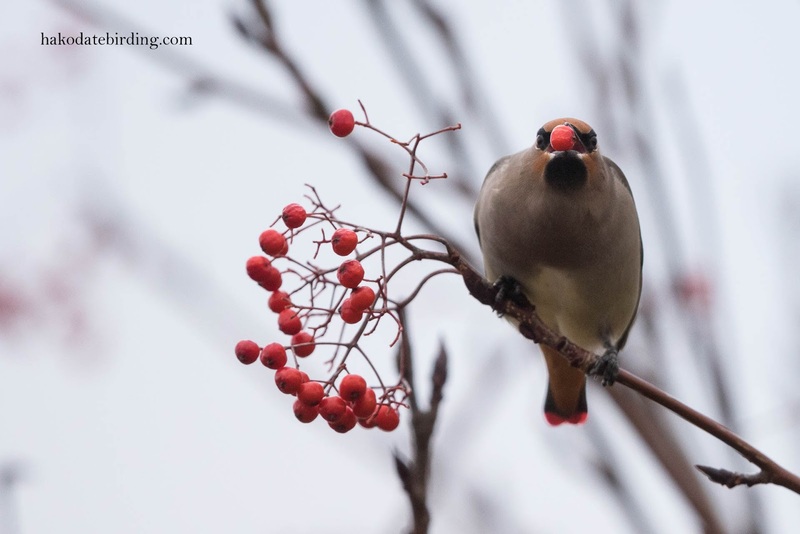 The waxwings look extra special with the berries. You have a great start to the winter already. When the waxwings start showing up you know that winter can't be far behind. Great to see the Waxwings. That does sound like winter is there! 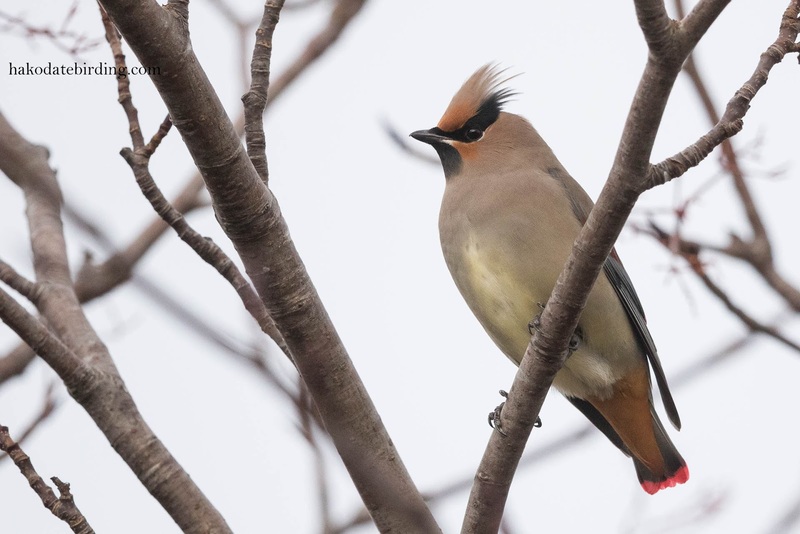 Send a few of those Waxwings down to us, please ! 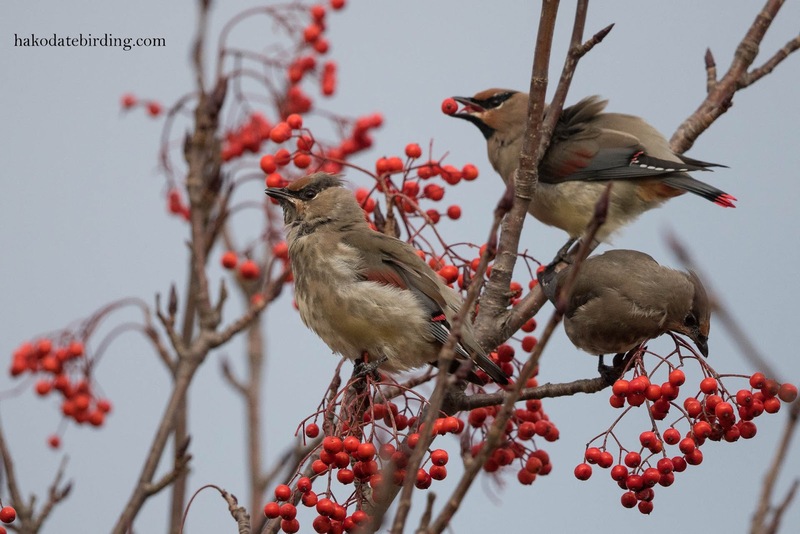 Do you have lots of red berries? Amazing to think you get winter so early. We had our first proper snow (in lowland Scotland) just this past week!